Rowman & Littlefield Publishers, 9781442214248, 336pp. 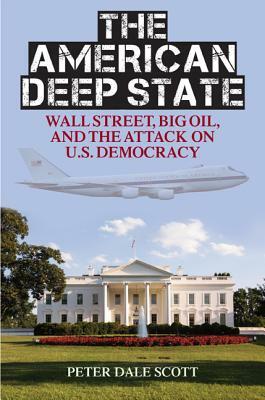 This provocative book makes a compelling case for a hidden "deep state" that influences and often opposes official U.S. policies. Prominent political analyst Peter Dale Scott begins by tracing America's increasing militarization, restrictions on constitutional rights, and income disparity since the Vietnam War. He argues that a significant role in this historic reversal was the intervention of a series of structural deep events, ranging from the assassination of President Kennedy to 9/11. He does not attempt to resolve the controversies surrounding these events, but he shows their significant points in common, ranging from overlapping personnel and modes of operation to shared sources of funding. Behind all of these commonalities is what Scott calls the deep state: a second order of government, behind the public or constitutional state, that has grown considerably stronger since World War II. He marshals convincing evidence that the deep state is partly institutionalized in non-accountable intelligence agencies like the CIA and NSA, but it also includes private corporations like Booz Allen Hamilton and SAIC, to which 70 percent of intelligence budgets are outsourced. Behind these public and private institutions is the traditional influence of Wall Street bankers and lawyers, allied with international oil companies beyond the reach of domestic law. With the importance of Gulf states like Saudi Arabia to oil markets, American defense companies, and Wall Street itself, this essential book shows that there is now a supranational deep state, sometimes demonstrably opposed to both White House policies and the American public interest. Peter Dale Scott, a former Canadian diplomat and professor emeritus at the University of California, Berkeley, is a leading political analyst and poet. His books include Deep Politics and the Death of JFK, Drugs, Oil, and War: The United States in Afghanistan, Colombia, and Indochina, The Road to 9/11: Wealth, Empire, and the Future of America, The War Conspiracy: JFK, 9/11, and the Deep Politics of War, and American War Machine: Deep Politics, the CIA Global Drug Connection, and the Road to Afghanistan (R&L). He has been awarded the Lannan Poetry Award. His website is www.peterdalescott.net.